Available with petrol engines or a petrol/hybrid version that returns up to 57.6mpg and a 0-62mph of 8.6 seconds. Lexus always test well in terms of safety and the Lexus RC is no exception. The interior is equally as impressive as the exterior with soft buttons and an impressive infotainment touchscreen system. The feel is of a well-built cabin and soft materials add to the quality. Boot space is 374 litres which is ample for a coupe. See how much money we can save you on a Lexus RC when Coast2Coast Cars searches for you to find the ideal offer. We make sure you save money from list price of your new Lexus just by using our online quote help. Just spec the car of your choice and we do all the rest, we update you on the deals and offers available and with no obligation at any point you have nothing at all to lose when you’re looking for the Lexus of your dreams. 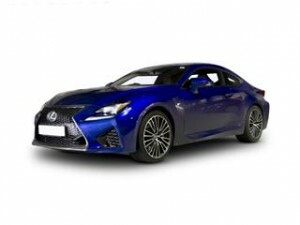 Finance solutions can be offered too using the dealer subject to status just ask for more details when you have the quotes for your new Lexus RC.